Here the toolpost is the part that is fixed to the top slide by means of the toolpost stud. The toolpost then holds the toolholder. One of the most popular types of tool post/toolholders is that made by Dickson. The key feature that makes this interesting is that the alignment between the tool holder and the tool post is done using two pairs of male V’s and female V’s. Needless to say, the whole thing depends upon the both pair of V’s matching up perfectly in order that the tool will always be in the same place each time it is fitted to the toolpost. In these examples a thin piece of metal is used instead of a piece that would be the height of the toolholder. The workpiece is fitted parallel to the length of the milling table. 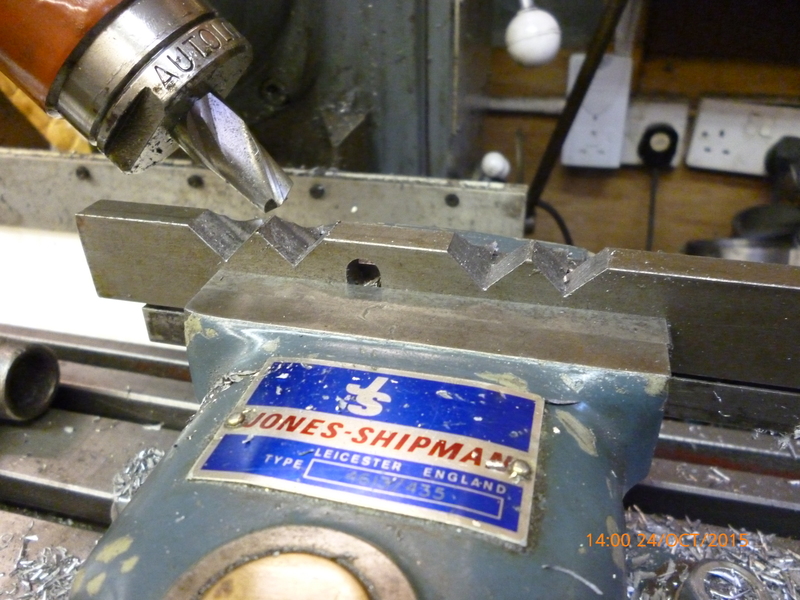 The V-shaped cut is made using an ordinary end mill in a collet chuck in the vertical spindle of the milling machine. The vertical head is tilted at 45º. All of the cuts are made at the same height. 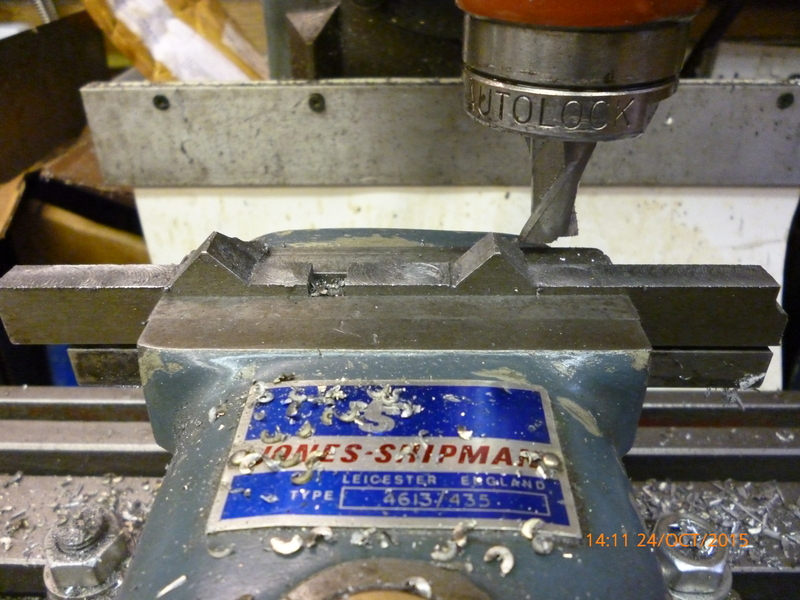 One V is cut at an appropriate point on the workpiece. The DRO is set to zero at this point. After the first V has been cut the table is moved by the amount required between the first V and the second. The table is locked. The second cut is made. The part with male V’s is made by making two female V’s just as done on the other part as shown above. The trick is that, for the male V’s, a a second pair of female V’s is made. The first of these is made just to one side of the first ones. 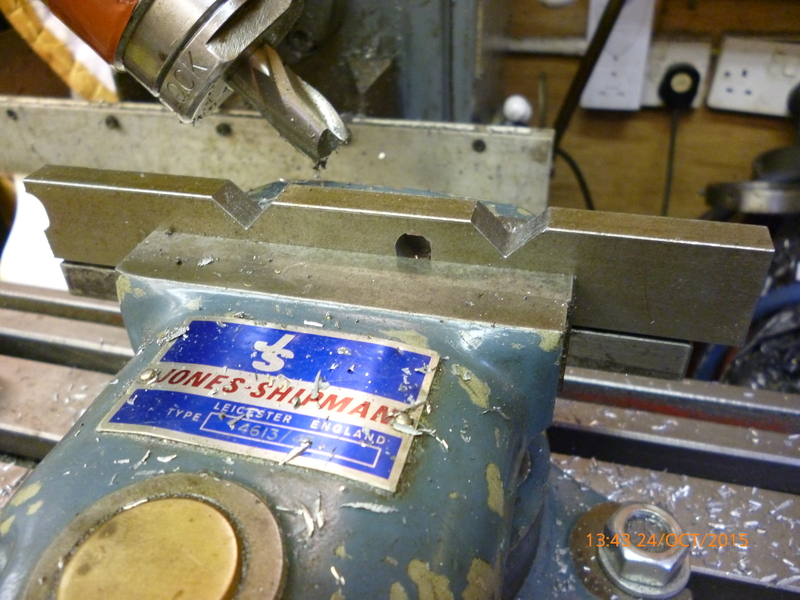 This is done so the there is a small space, about 1mm on the top of the inverted V. Then the workpiece is moved along by the distance apart the same as for the female V’s. Notice that though a V is cut only one side of this will be used. All the material on either side of the male V’s is milled away. The two parts will now fit together. Notice that the top of the male V’s being flat means to the two parts do not clash at the apex of the V’s. On the Dickson toolpost/toolholder the only surfaces that are critical are those on the V’s as described above. 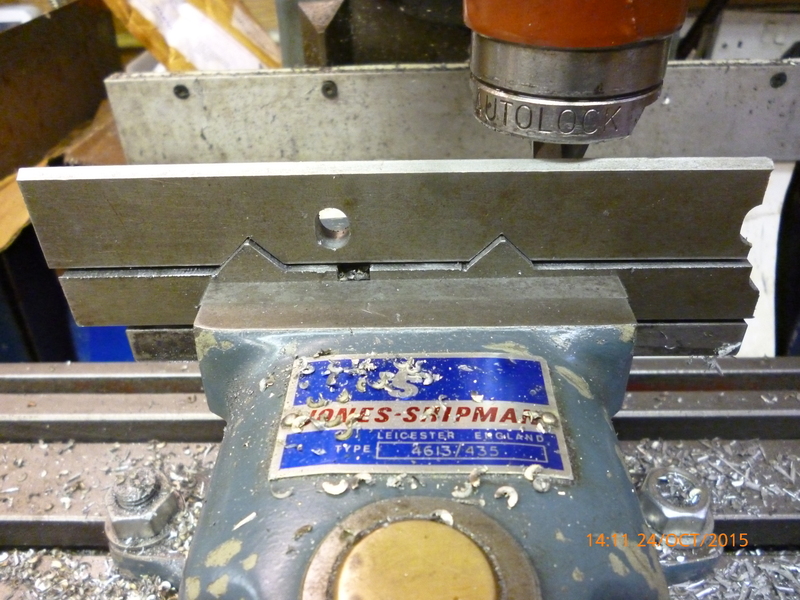 The T-slot, not shown here, is only required for effective clamping of the toolholder to the toolpost. But The thinness of the parts of the T are such that they are likely to break is made of cast iron. The toolholder must be made of steel though the toolpost could be made of steel or cast iron.